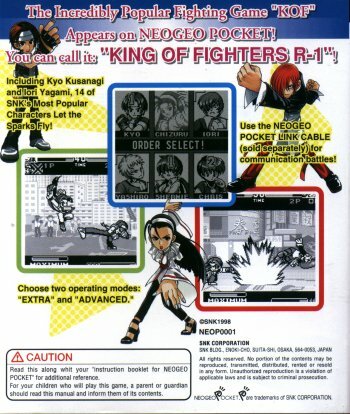 REVIEW: The King of Fighters: Round 1 marks SNK's first time bringing the KOF series onto a handheld... and what better system than their own Neo Geo Pocket to do just that? 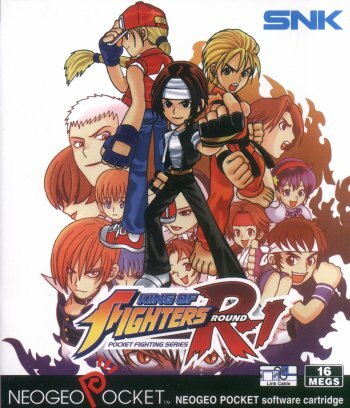 14 of the most well known KOF characters make their appearance in KOF: R-1, along with some recognizable backgrounds and gameplay features based on The King of Fighters '97. 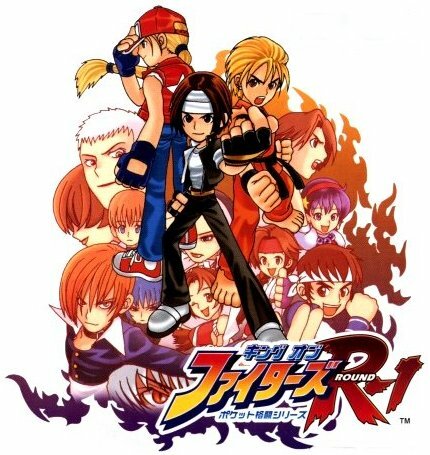 Players can choose from "Extra" & "Advance" play modes similar to KOF '97, and most characters play closely to their original versions. 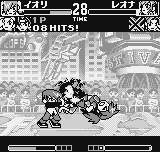 KOF: R-1 came out before the Neo Geo Pocket was in color, so the graphics were a dreary "black & white". Instead of the traditional KOF sprites, all the characters were redrawn "chibi style". The super deformed art style gives the characters a charmingly cute & cuddly big-headed look. 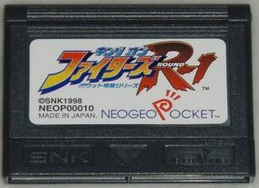 It works especially will since the Neo Geo Pocket system itself is an equally cute system. ...Ahh, I love my good old NGPC. The system's d-pad makes classic moves especially fun to pull off. Overall, King of Fighters: R1 is a straight forward 2D fighting game and will be a familiar gameplay experience if you're familiar with series. There's some fan service thrown in for old school fans as well, including some pretty decent endings and artwork.